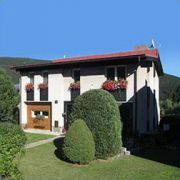 Accommodation with half board in family guesthouse. Heated indoor pool. Sauna. Rooms and apartments with bathroom/WC … More » and TV. Half board: breakfast - Swedish tables, dinner - 2-course homemade menu. Bar with cocktails, winery, beer on tap. Bohemian Paradise and Giant Mountains 2 in 1. 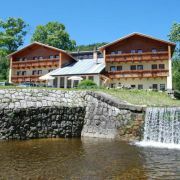 Pension is situated in the sea elevation 865m, with beautiful view to landscape of river Jizera. Cycling routes … More » . Cyclobus stop 60m. 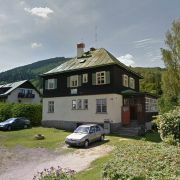 Family guest house near the cetre of Spindleruv Mlyn. Restaurant an exellent cuisine. Double and triple rooms with … More » bathroom and one family room. WiFi Internet. We offer all year around accommodation in rooms with own bathroom, equipment, terrace with dinning room, bar, and … More » TV with SAT. 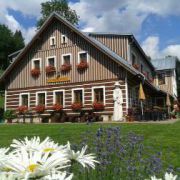 We offer great Czech food and nice atmosphere. 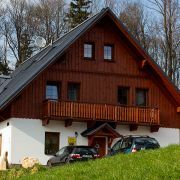 Accommodation is perfect for families with children and for people who loves nature. 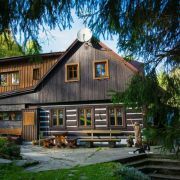 Mountain cottage from year 1846 was rebuild to pension and is situated in the quiet part of Luisino udili valley … More » . It is very quiet and beautiful valley. 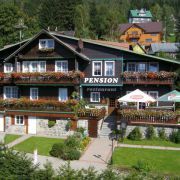 Pension is access able by car all year around. Distance to ski lift (500m) is 150m, great location for hiking and biking. breakfast in the beautiful location of Janske Lazne, Giant Mountains. Cable car, mountain stream with waterfalls, trail in the trees.